1. 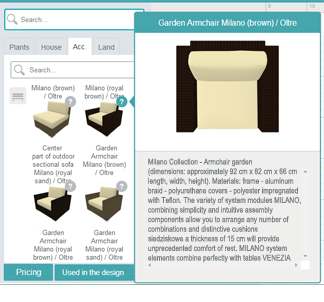 YOU WILL DESIGN YOUR GARDEN IN 2D and with just one button you will generate a 3D project. 2. YOU WILL AVAIL OF THE SERVICES- PLANNING AND DESIGN COMPANY, ARCHITECTS,DESIGNERS, GARDENERS, with which you will be able to share and consult the project online. In the 3D environment it is possible to flag a place which requires a comment. 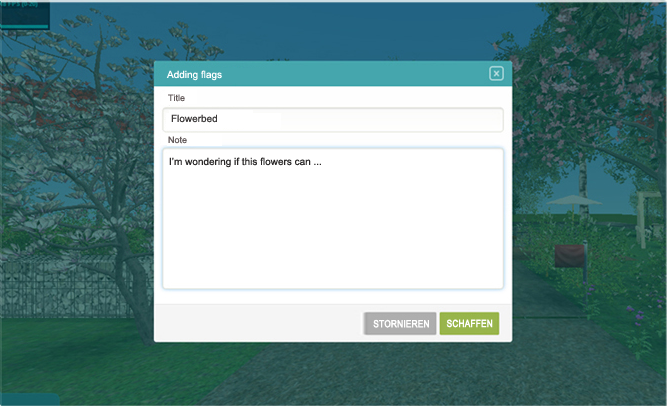 When you click on the flag a dialogue box will appear where users cooperating on the given project (co-workers, investor- architect of landscape/contractor) consult on the project. 3. 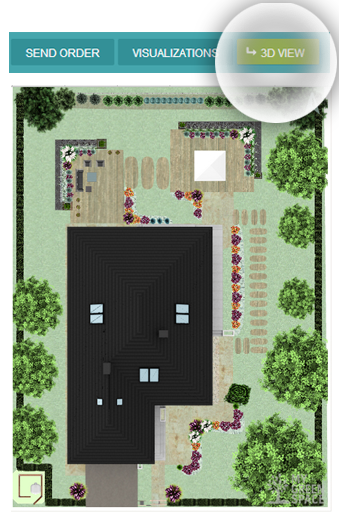 YOU WILL PURCHASE ALL ELEMENTS OF THE GARDEN-the project contains only elements that are physically available in stores, the offer and ornamental tree and bush nurseries of our Partners. The application generates a pricelist which allows controlling the investment costs on an ongoing basis and PURCHASING PRODUCTS USED IN THE PROJECT IN THE STORES OF OUR PARTNERS. Starting with the furniture and garden accessories, through landscape architecture, surfaces, plants, through to the projects of houses or garden related products. 4. FROM AMONG all CONTRACTING COMPANIES which advertise themselves in the application YOU WILL SELECT THE ONE WHICH offers you the best offer and WILL REALIZE YOUR INVESTMENTS. 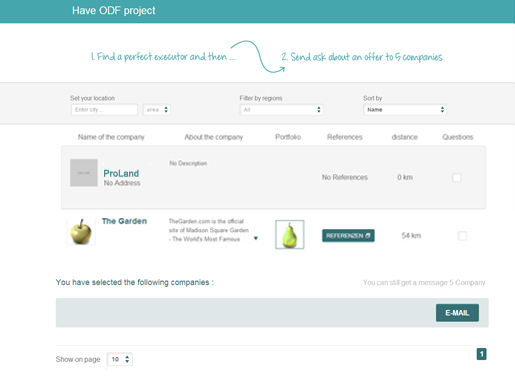 Both investors and landscape architects may commission garden completion. Contracting companies reply to offers of users or submit them by themselves. 5. 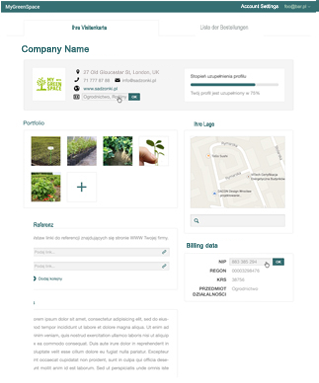 YOU WILL OBTAIN KNOWLEDGE- the application will assist you in the selection of plants matching their requirements and conditions of the place that you plan to grow them. 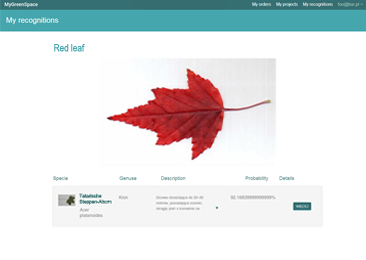 Thanks to botanic and dendrological descriptions you will obtain knowledge on many species. 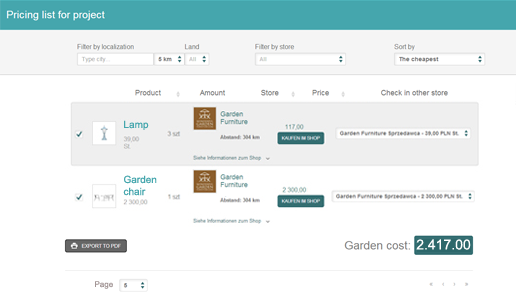 Intuitive interface will help you get to know the basics of designing. You will see how YOUR GARDEN CHANGES IN THE COURSE OF TIME (among others, after 5,10,15, 20 years).